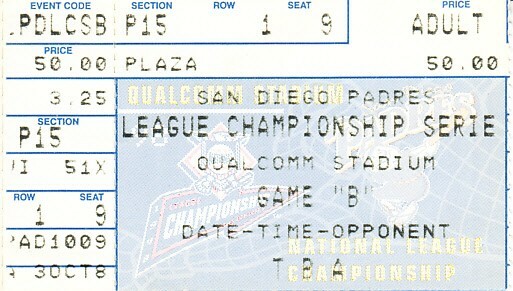 Ticket stub from 1998 National League Championship Series Game 4, won by the Atlanta Braves 8-3 over the San Diego Padres at Qualcomm Stadium although the Padres eventually advanced to the World Series. 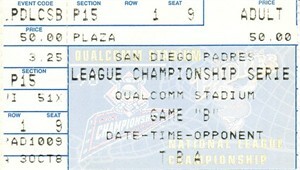 Has very minor age discoloration typical for a ticket of this age, otherwise flawless. ONLY ONE AVAILABLE FOR SALE.